If you ever thought bell peppers, spaghetti squash, zucchini or peppers were bland, boring and were never main-course material, oh, you were sorely mistaken. Some of the best meals are as simple as taking your favorite vegetables and stuffing them with tasty, ooey-gooey goodness. 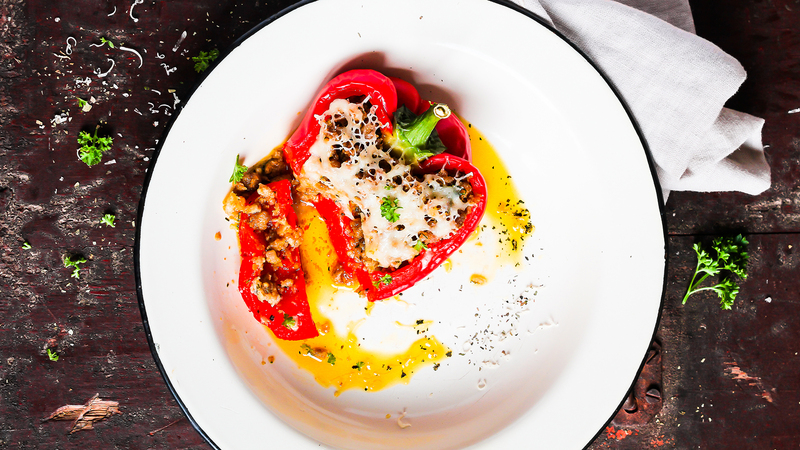 And you can be as healthy or as decadent as you want: Stuff your bell pepper with a perfectly seasoned quinoa mix, or wrap your spinach- and artichoke-stuffed zucchini boats with bacon strips. You can do whatever you want. Ahead, we've listed 12 of our favorite stuffed vegetables recipes — and, no, they're not all stuffed pepper recipes. We've included a variety of vegetables, from avocados to the aforementioned zucchinis. And trust us; if you're not a vegetable fan and you have more of a comfort-food leaning, especially when it comes to dinner, you'll convert after just one bite. So choose a recipe, and get your veggie on. Want the flavors of a twice-baked potato without the potato? 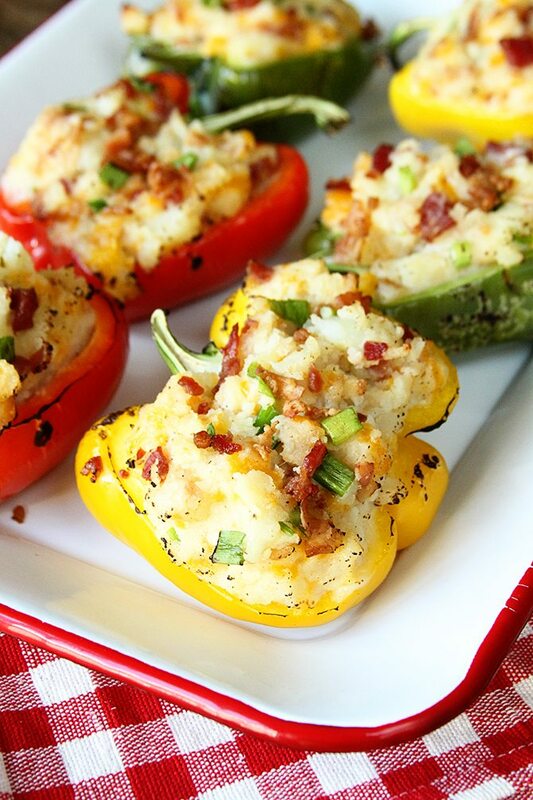 Stuff cheese and bacon into a bell pepper. 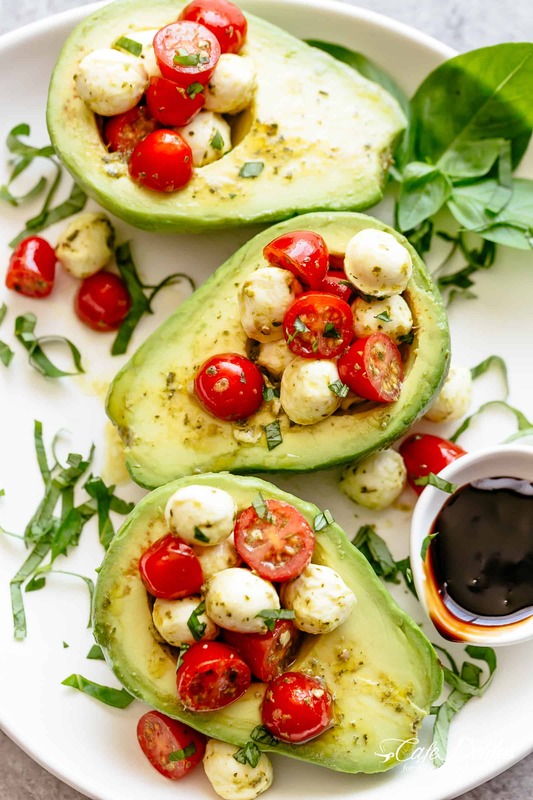 When you want something a little lighter, opt for these caprese-stuffed avocados seasoned with basil and pesto and drizzled with balsamic glaze. 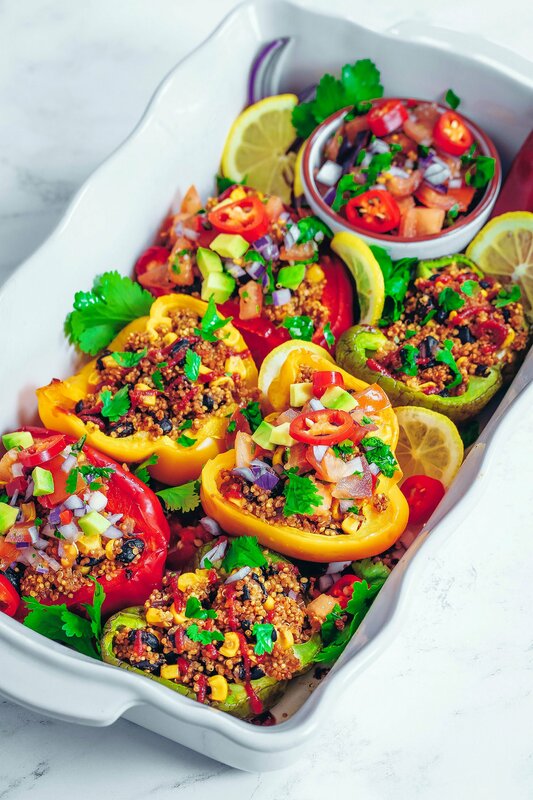 Nadia's Healthy Kitchen brings you this über-healthy recipe starring red, green and yellow peppers stuffed with a flavorful quinoa. You know what's great about these roasted stuffed tomatoes? 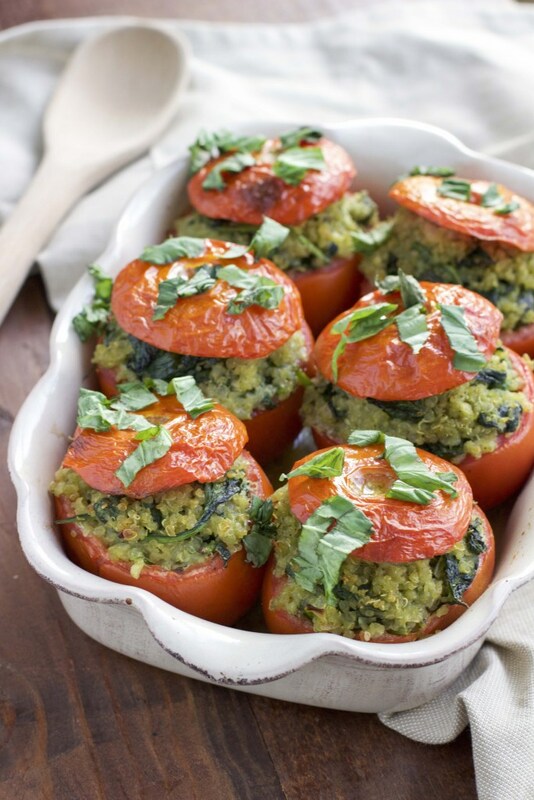 Not only are they packed with pesto quinoa and fresh spinach but they're also vegan, gluten-free and dairy-free. Sauté the scraped-out insides of the zucchini with onions, garlic and sweet Italian sausage. 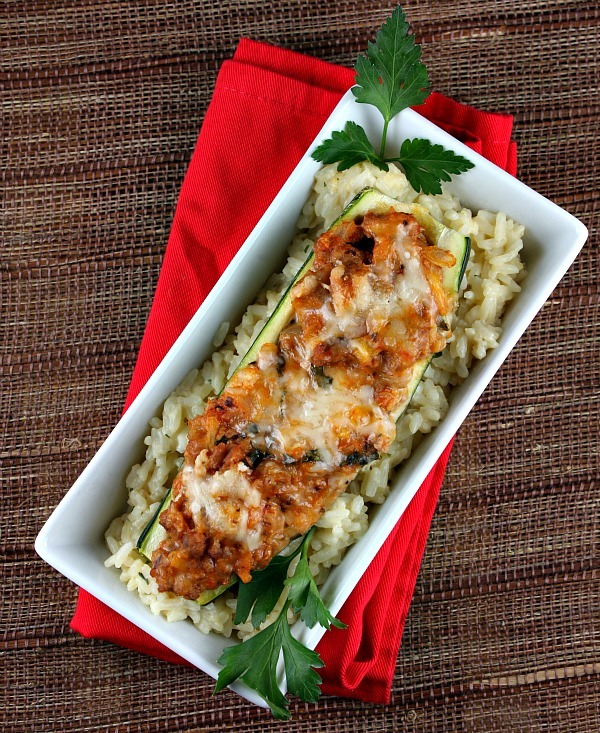 Mix it with basil, marinara sauce and cheese — and you have yourself stuffed zucchini boats. 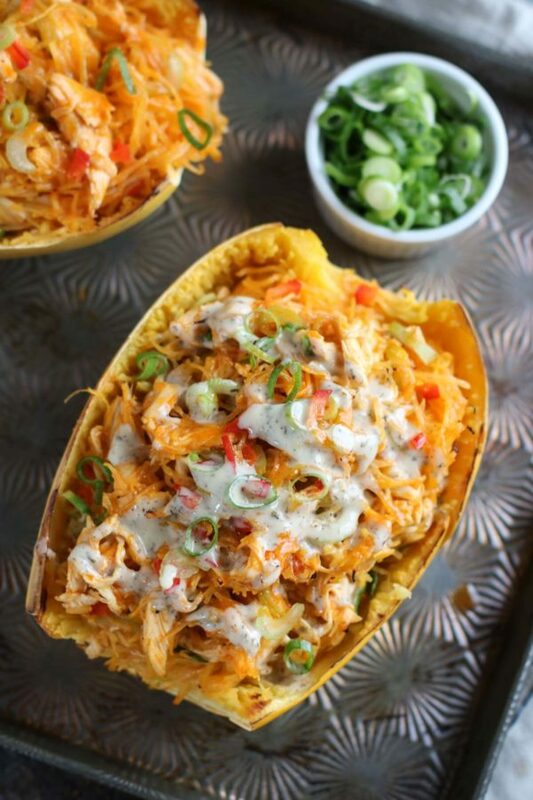 The folks at The Real Food Dietitians are genius for combining Buffalo chicken and spaghetti squash. Plus, it's drizzled with ranch dressing! 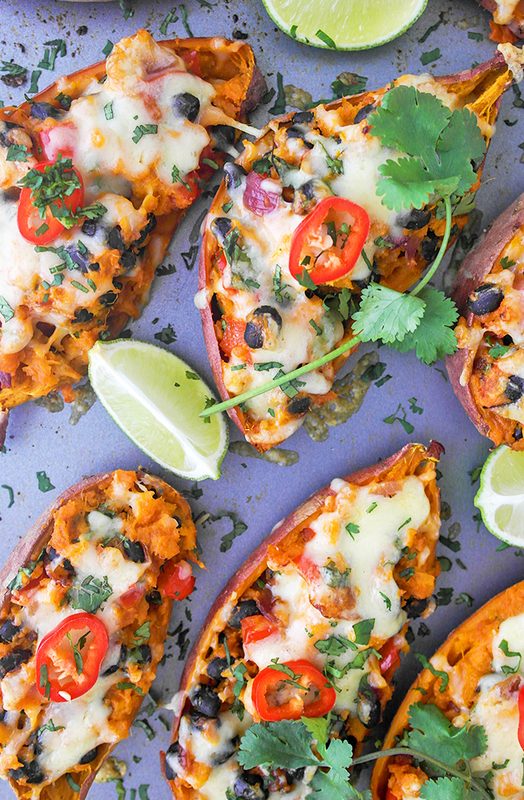 In just 30 minutes, you'll have yourself sweet potatoes stuffed to the brim with black beans, red peppers and gooey cheese. 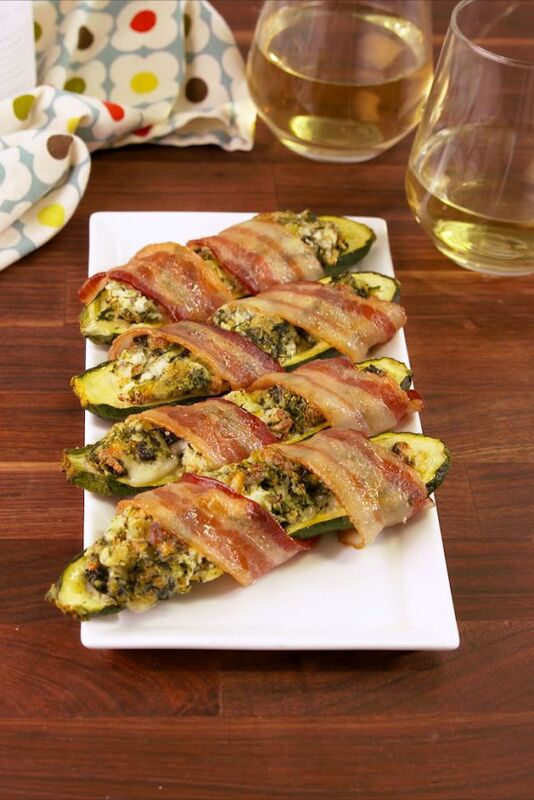 You can never go wrong with bacon — and using strips of bacon to wrap zucchini stuffed with a spinach and artichoke dip is something our stomachs never knew they needed. 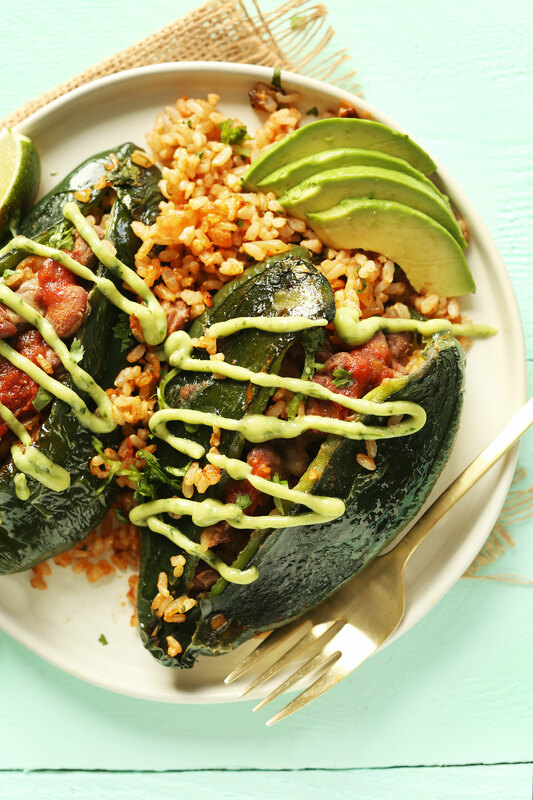 What truly makes these brown rice- and pinto bean-stuffed poblano peppers is the creamy avocado-cilantro dressing drizzled on top. 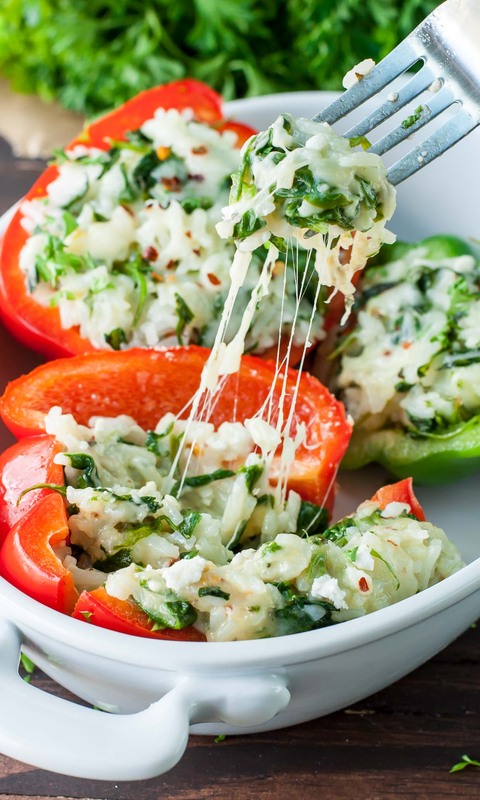 The name says it all: These bell peppers are stuffed with an entire package of spinach and a generous amount of mozzarella and feta cheese. 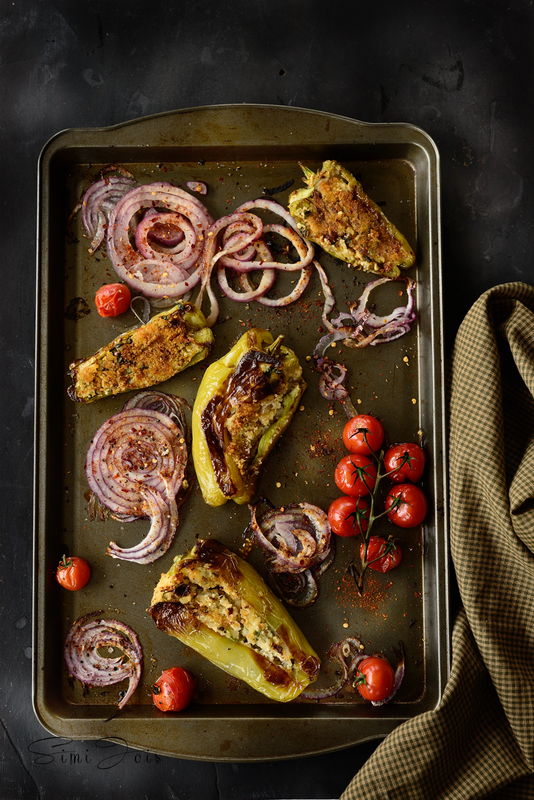 These Cuban peppers are filled with potatoes, tofu and roasted with onions and cherry tomatoes — making for a great vegan-friendly recipe. 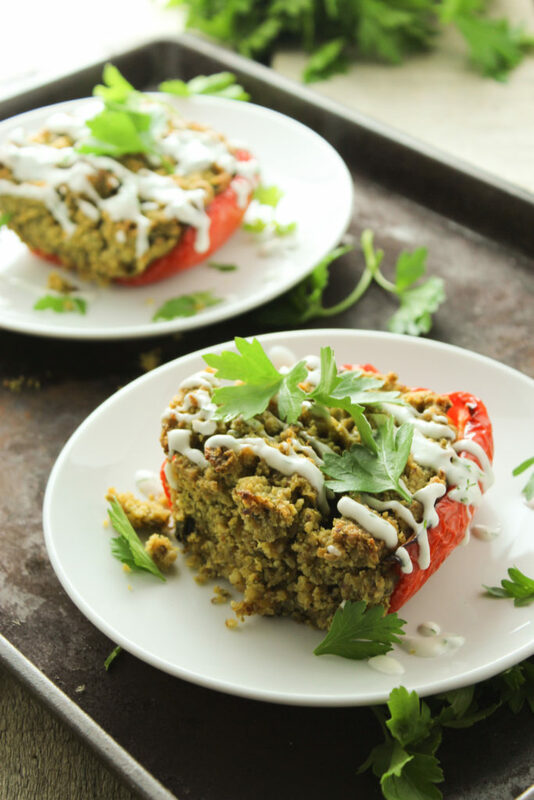 Minimalist Baker proves once and for all there's more than one way to eat falafel with this chickpea-stuffed poblano pepper recipe.